Two weeks ago we hosted the 13th International Workshop on Greenhouse Gas Measurements from Space in Helsinki. The meeting gathered the top level scientists in the field of GHG monitoring from space. I followed the highlights of the meeting through the hashtag #IWGGMS13. 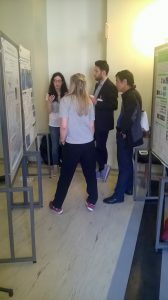 I presented a poster on how to monitor anthropogenic CO2 signatures using space-based observations. I showed the advantages an d limitations in mapping CO2 emission areas from space for different type of sources and I got many useful feedbacks. I used measurements from OCO-2 (Orbiting Carbon Observatory-2), flying on Nasa’s satellite since 2014. No satellite instrument so far has provided such dense and accurate CO2 observations as OCO-2 all over the globe. This opens new exciting opportunities for monitoring the anthropogenic contribution of the atmospheric CO2 concentrations. We learned also many new things. The Canadian colleagues presented the first attempt to derive CO2 emissions from a single power-plant based on satellite-based measurements. Also, new miniature-sized commercial instruments showed the capability to target one source at the time for pollution plume detection. 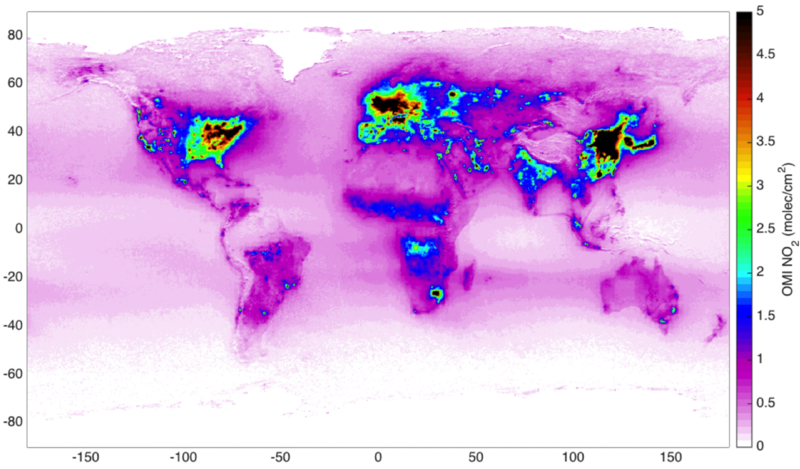 In the future, we could make air pollution monitoring more comprehensive and sustainable thanks to space-based observations! Now it’s time to go holiday but I’ll be back in August with more news.